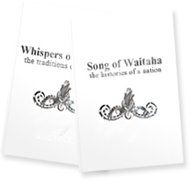 Whispers of Waitaha: Traditions of a Nation won a Silver Award in the Nautilus Book Awards 2008. This is a prestigous American literary award created by Marilyn McGuire. Many well known authors like Deepak Chopra submit their books to this event Her motto is ‘Changing the world one book at a time’. 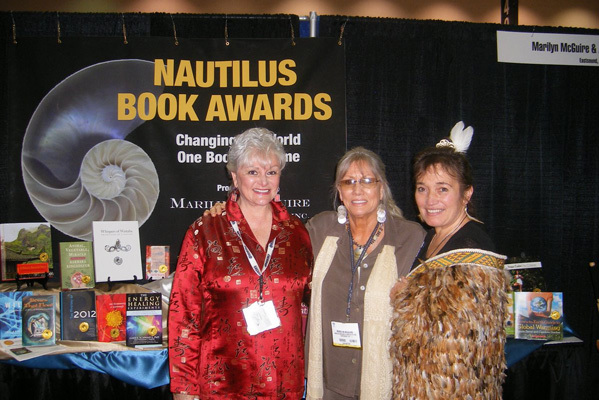 I was blessed to be able to attend the Book Expo America held in Los Angelas in May 2008 where the winners in all the categories were invited to be present for book signing opportunities. It was a whirl wind event during which the message of Peace was able to be conveyed to a wide international audience. It was a pleasure to meet this quietly passionate woman Marilyn McGuire and to thank her for honouring the wisdoms of the Grandmothers of Waitaha. 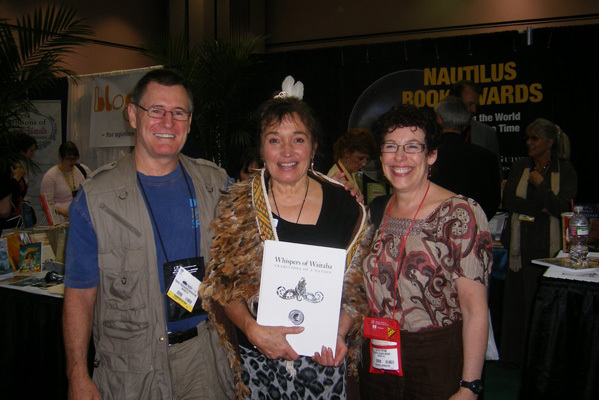 Makere with Paddy and Kathy Ryan Pacific Island Books, U.S. distributors of our books.